While the series itself isn't one of my favs, there is no doubt something smexy about a man that can chow down 50 bowls of noodles and still keep an awesome figure... I just like Hei. Anyway, after taking some screenshots of the second opening, I came upon one frame that made me laugh (due to the awkward position and slightly feminine physique) and decided to wall it. Of course I can't vector very well, so I attempted to paint a part of what I vectored, only to have it all covered up by the dark effects of the rest of the wall (which will not be changed). After toying with this thing for a few days on and off, I just threw my hands up in the air and gave in. Personally, the widescreen versions are better, but the original is 4:3.
the way you turned the original image into this is just amazing! nice color ;) amazing job! This is very good! ^_^ I like, thank you. Awesome! 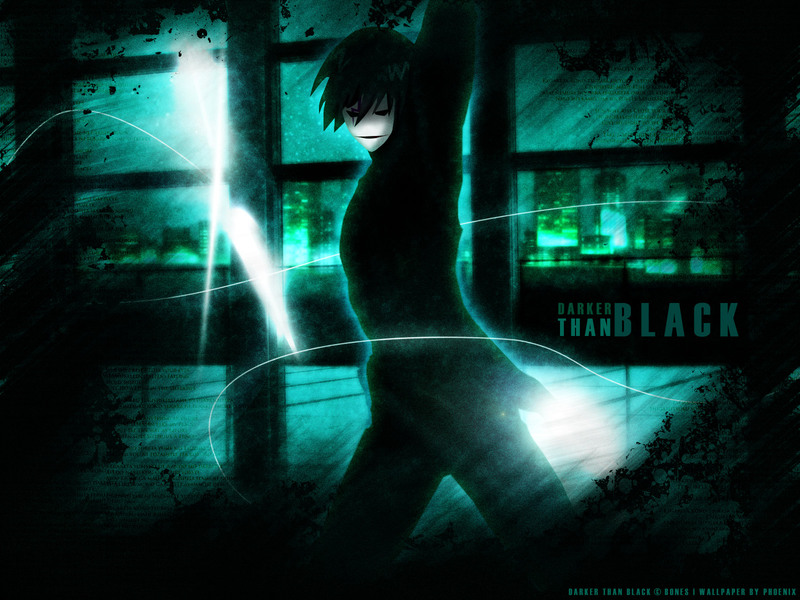 Darker Than Black rocks! The best i ever had.